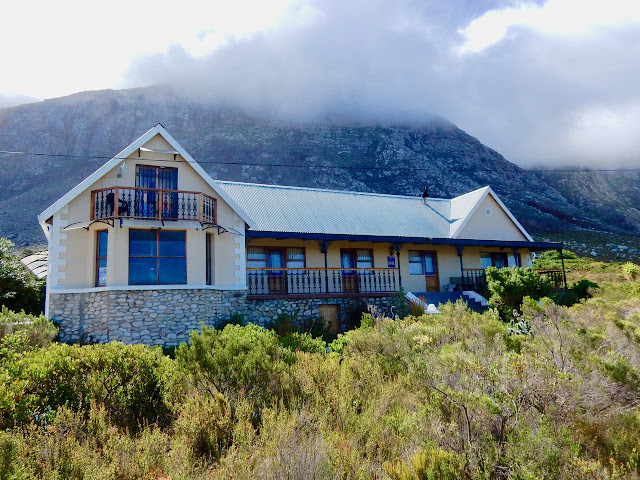 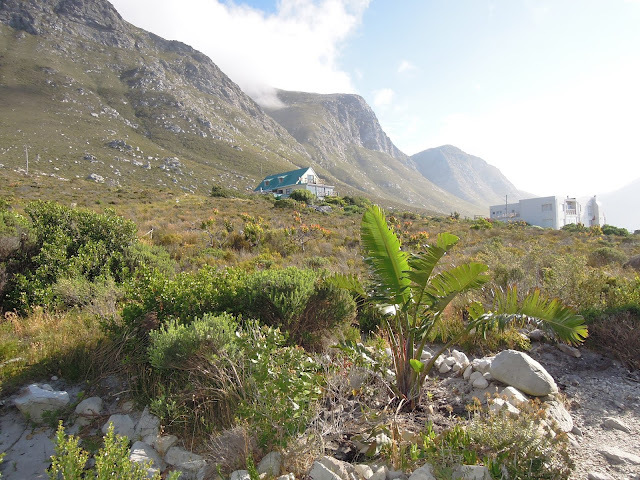 Mountain Mist lies at the foot of the Kogelberg mountain in Betty's Bay. All three bedrooms have private access from the front patio. 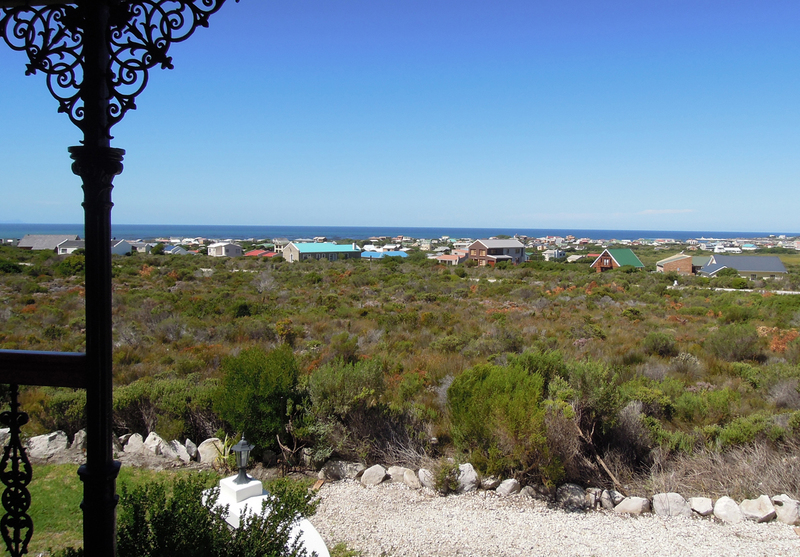 The main road in Betty's Bay is next to the houses in the far distance. 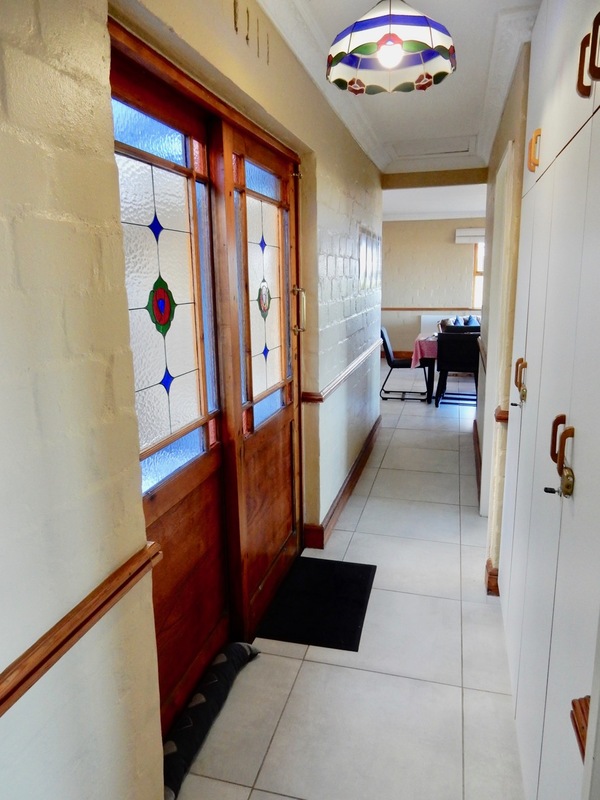 With the front door closed, you won't be able to hear the traffic in the distance. Bedroom 1 has a private entrance from the front patio, as well as a private ensuite bathroom. 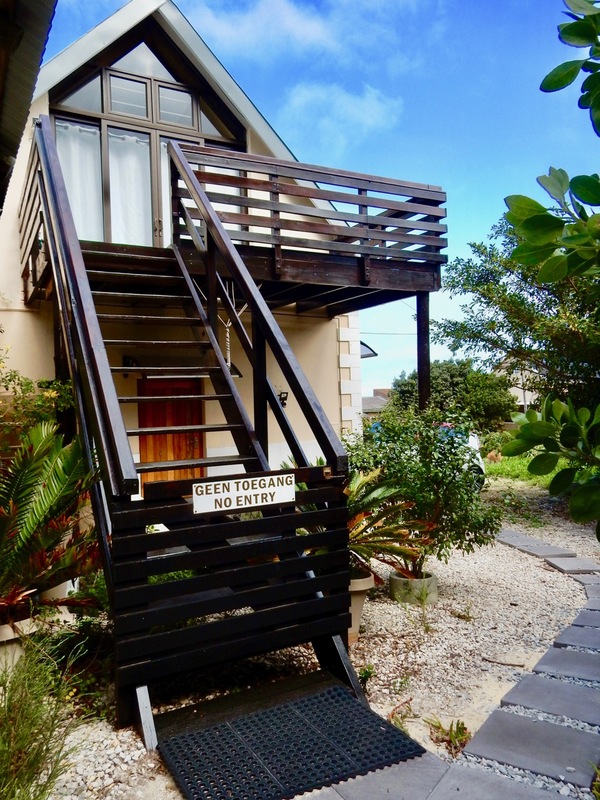 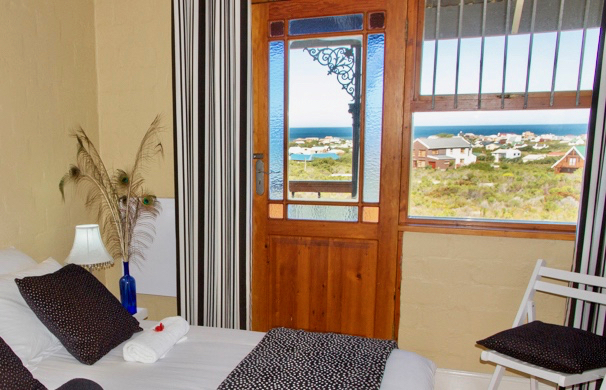 You can enjoy ocean views from all the bedrooms. 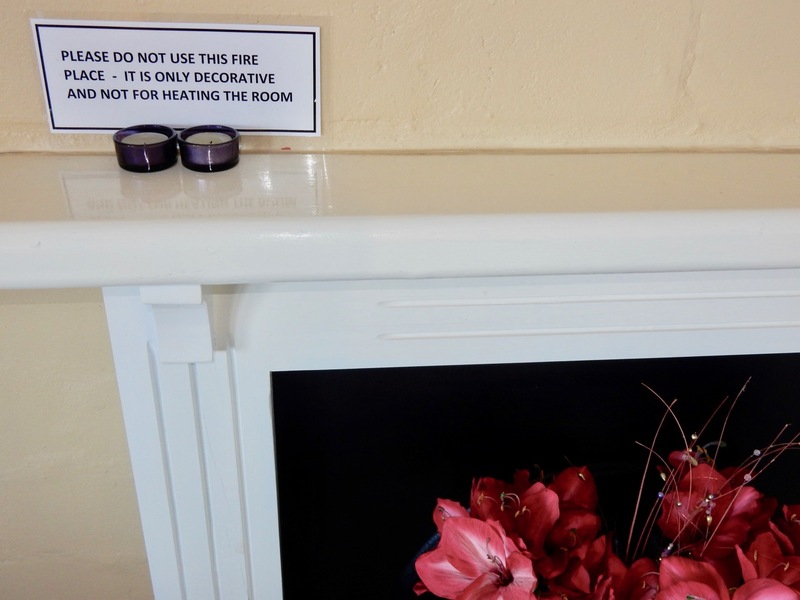 Bedroom 1 has a fireplace, but it is for decorative purposes only (it can not be used). 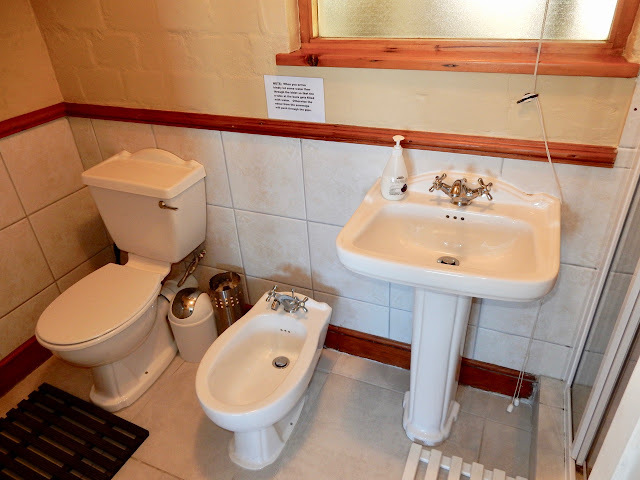 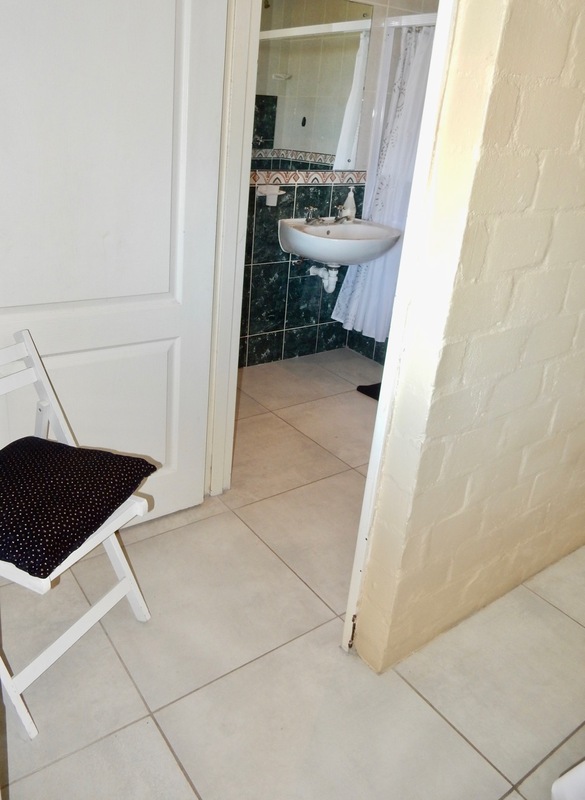 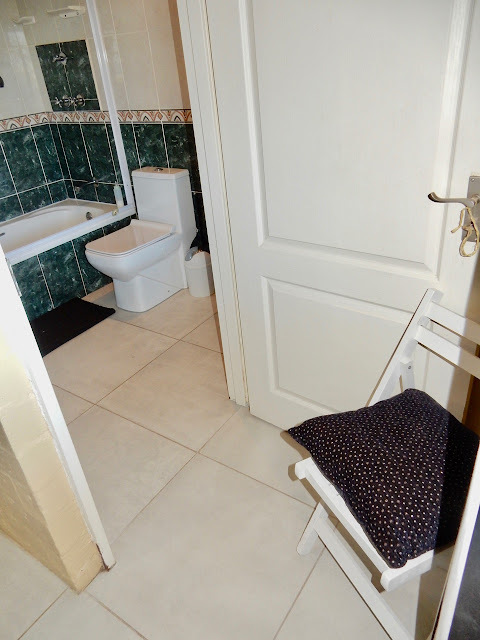 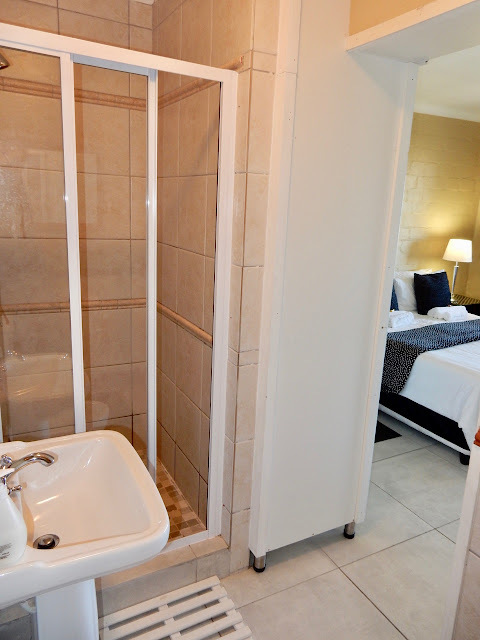 Bedroom 1 has a private ensuite bathroom with shower and bidet. 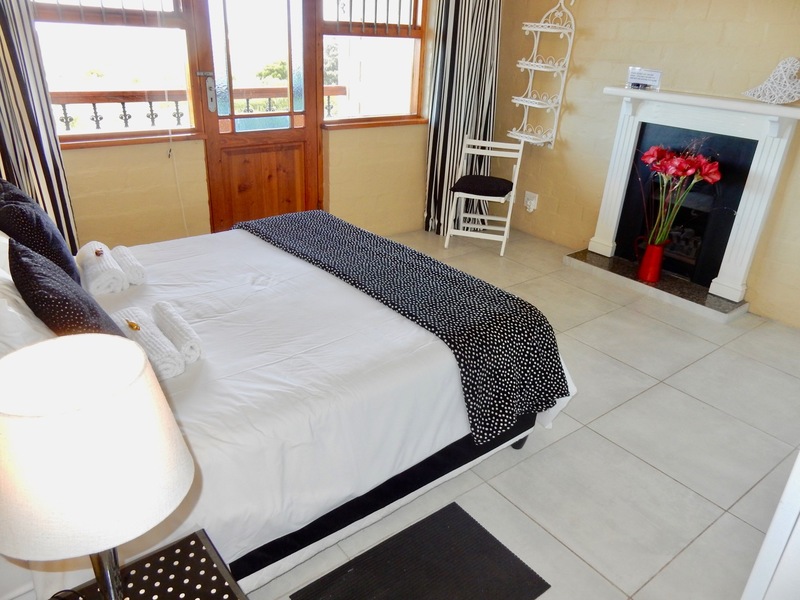 The hall links the bedrooms with the open plan living area. 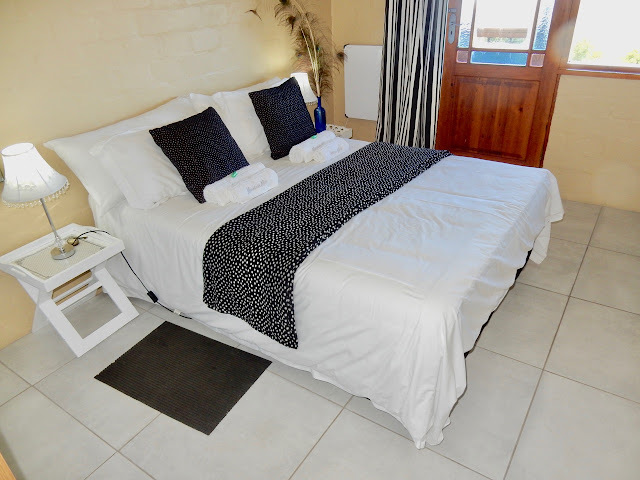 Bedroom 2 has a private entrance from the front patio, and shares an ensuite bathroom with Bedroom 3. 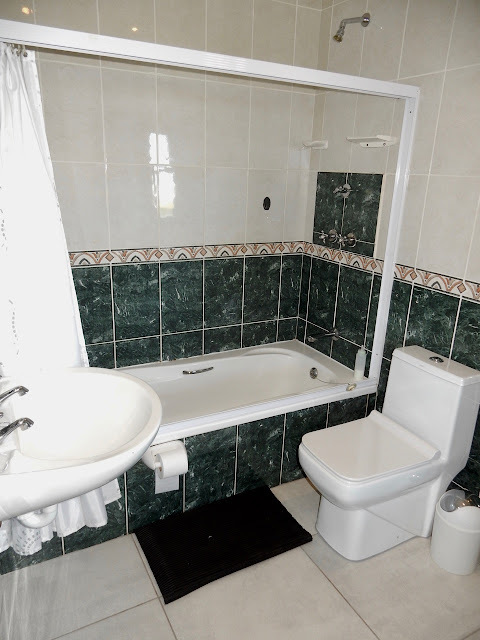 Bedroom 2 shares an ensuite bathroom with Bedroom 3. 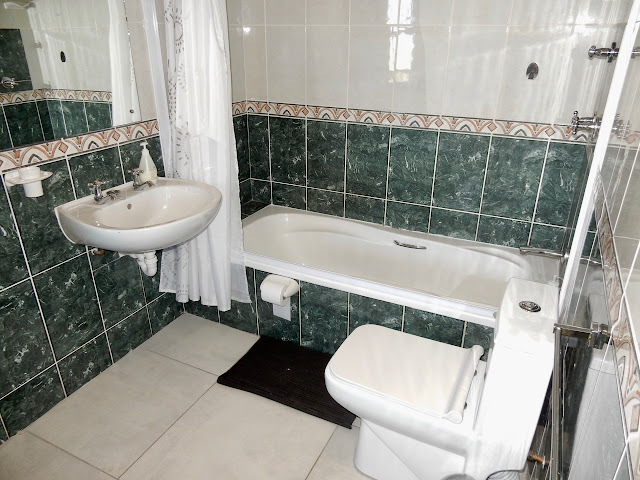 Bedroom 2 and Bedroom 3 share an ensuite bathroom. 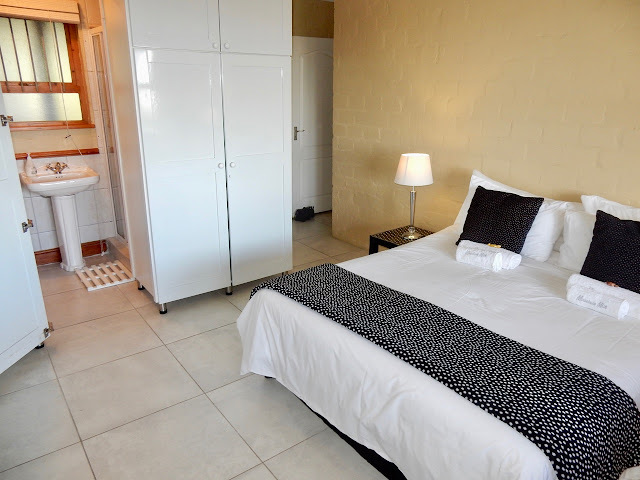 Bedroom 3 shares an ensuite bathroom with Bedroom 2. Bedroom 3 has a private entrance from the front patio, and shares an ensuite bathroom with Bedroom 2. 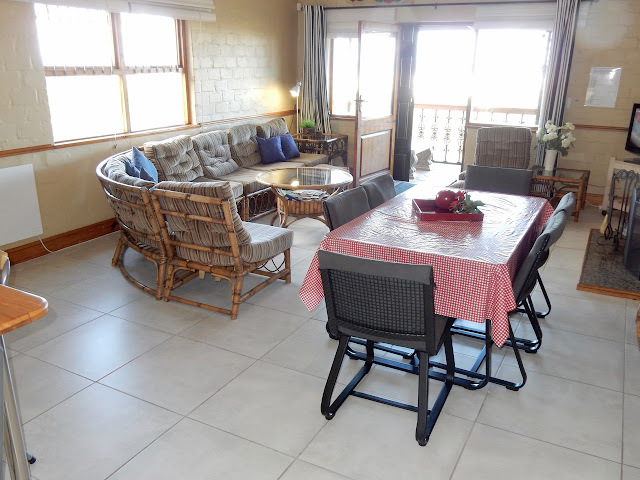 Spacious open-plan living room area (with lots of sun in the mornings). The living room area has a fully functional fireplace (please bring firewood, blitz and matches). 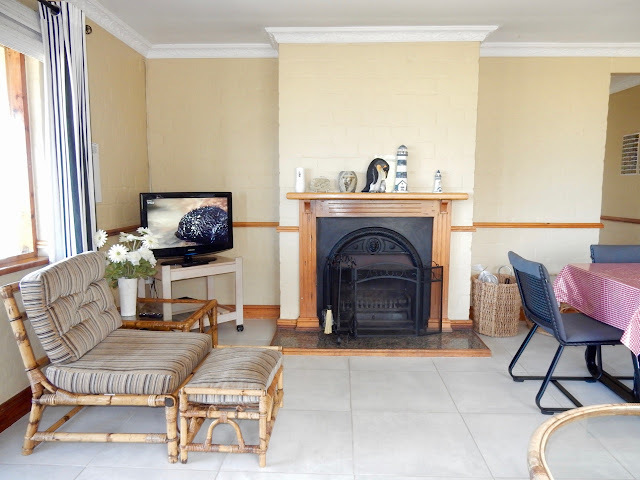 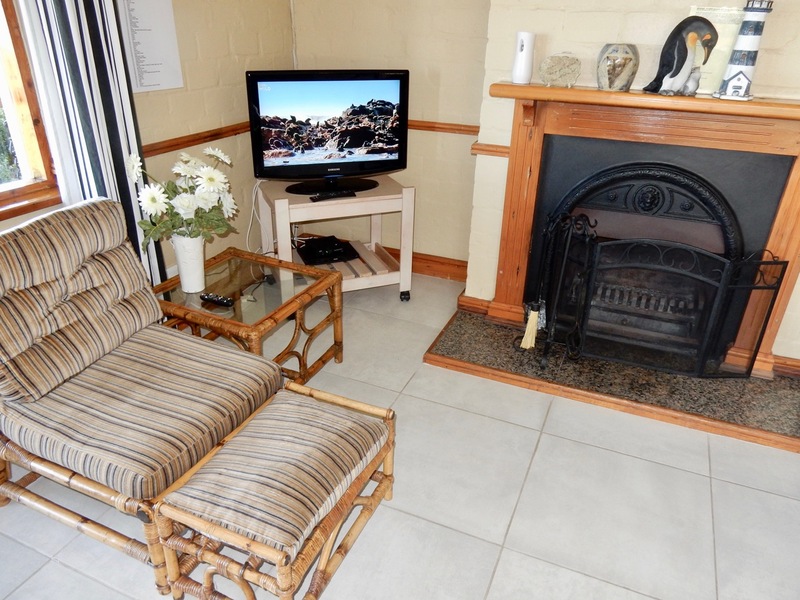 The living room has a DVD player and flat-screen TV with selected DStv channels (the "Family" package). 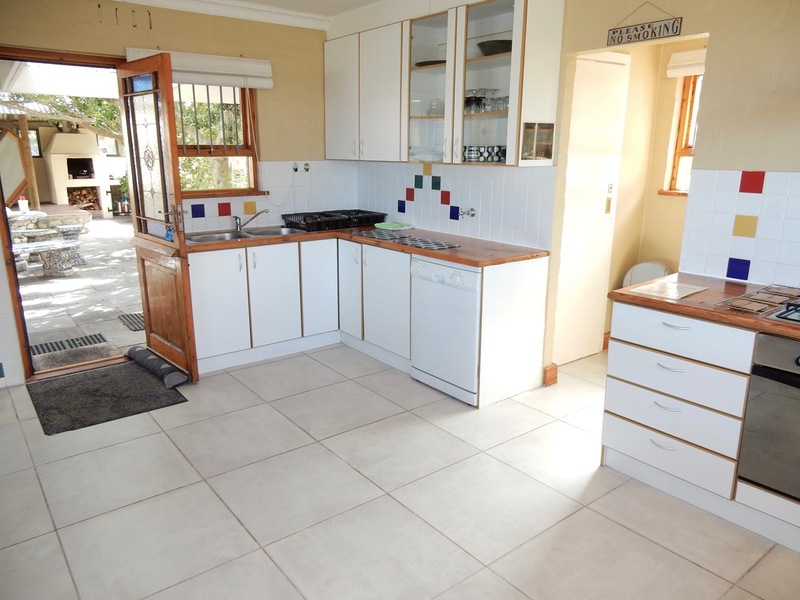 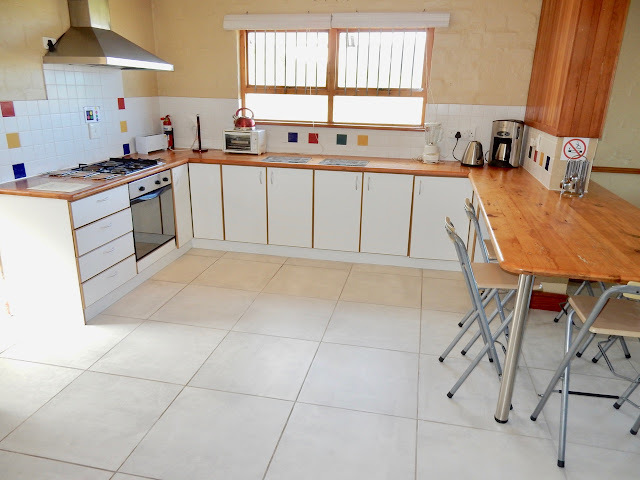 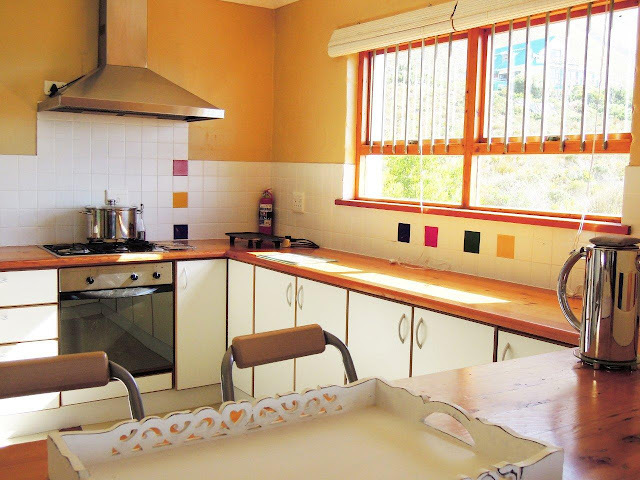 The kitchen is fully equipped (gas hob, oven, fridge, microwave, coffee maker, kettle, toaster, and blender). 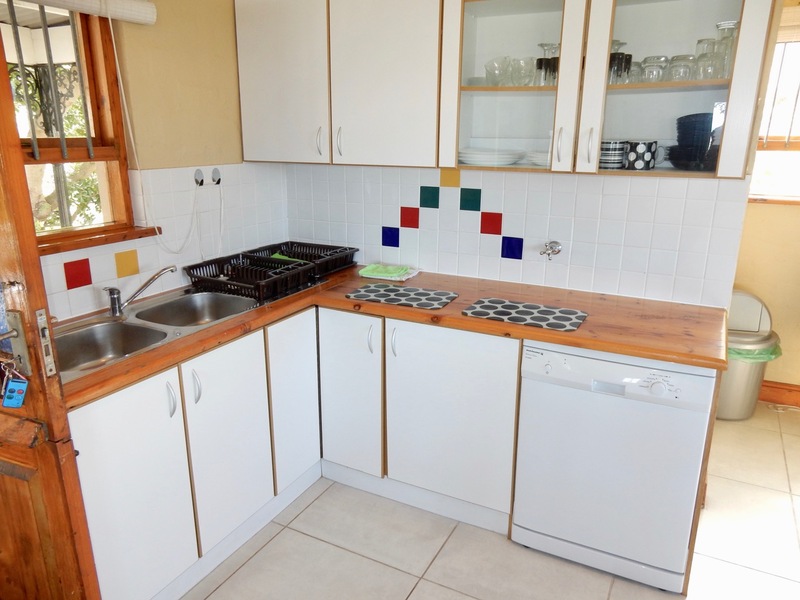 Spacious kitchen (with lots of sun in the mornings). 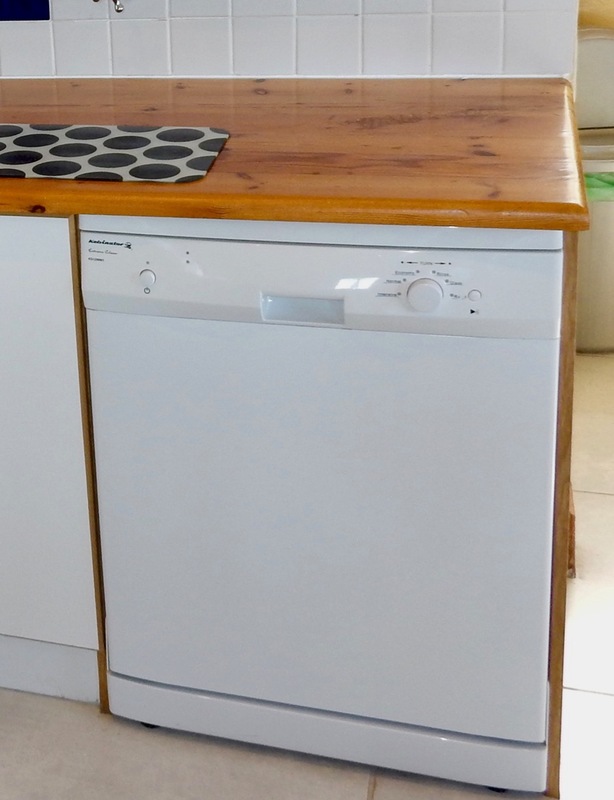 The kitchen is equipped with a dishwasher (please bring dishwasher detergent). Mountain Mist has a guest toilet and a washing machine (please bring washing powder). 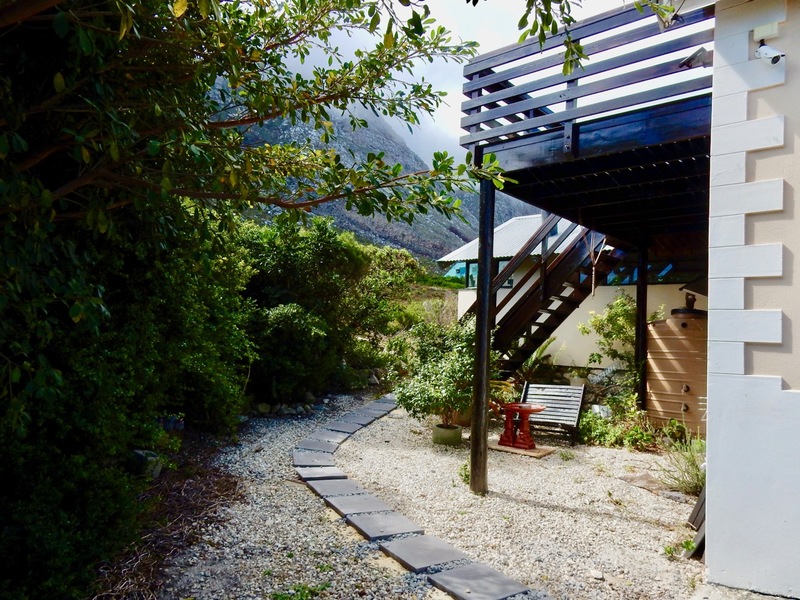 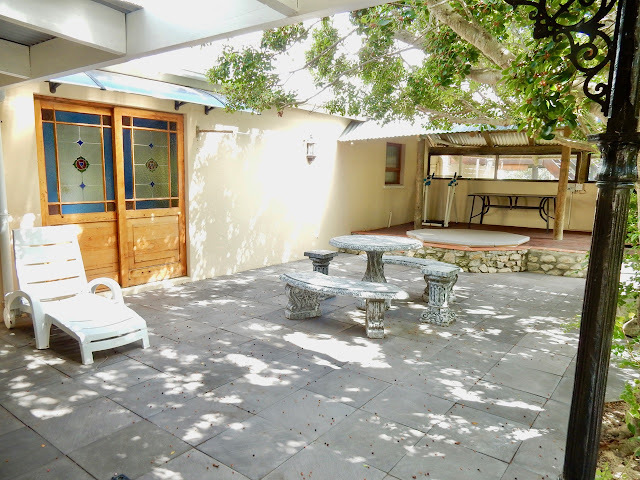 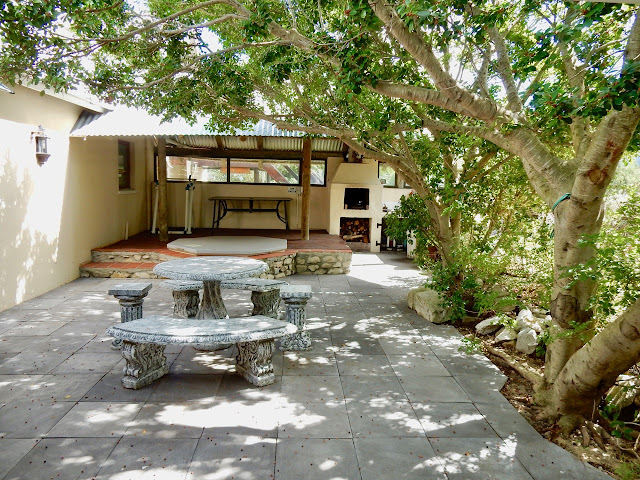 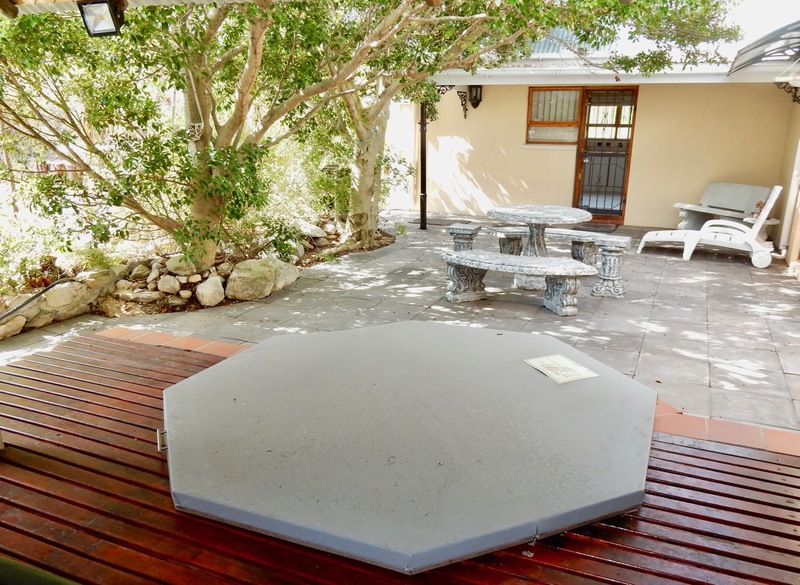 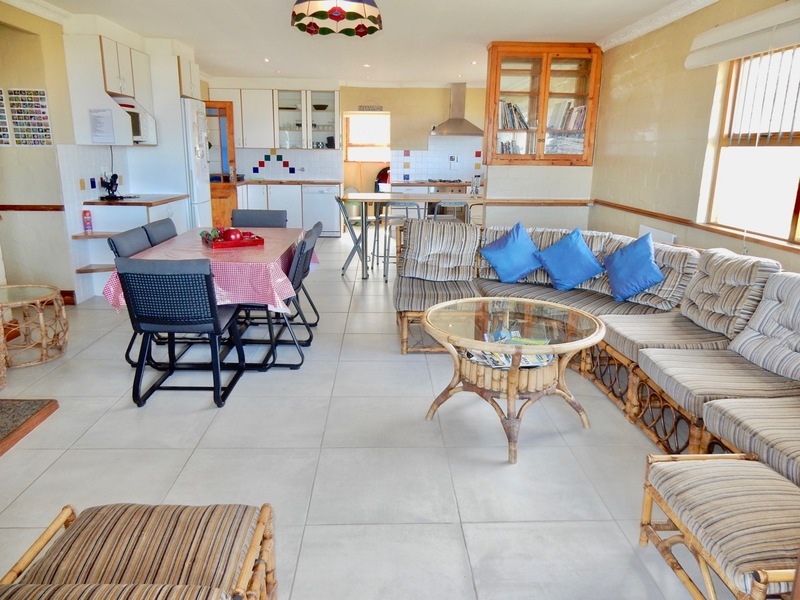 The outside barbeque area boasts magnificent views of the Kogelberg mountain. 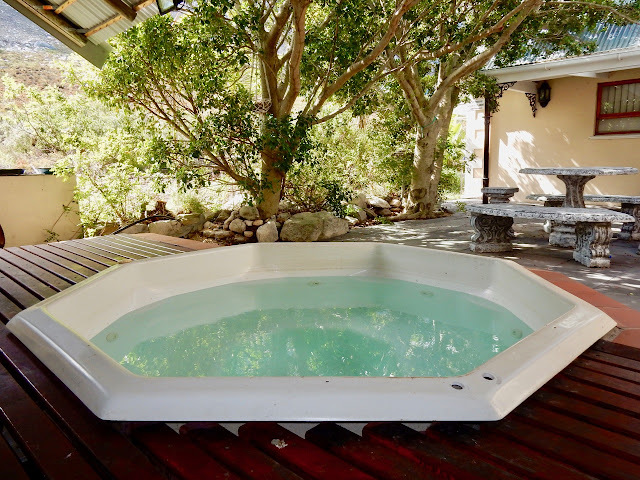 There is a cold-water jacuzzi by the outside barbeque area (it can not be heated). The attic apartment is not rented out and remains vacant. This path leads to the outside barbeque area at the back of the house. 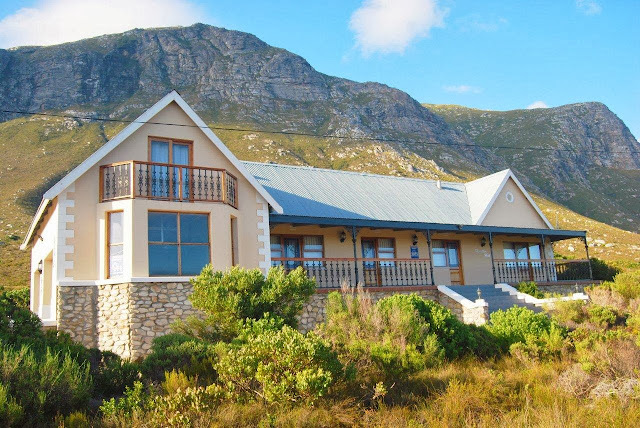 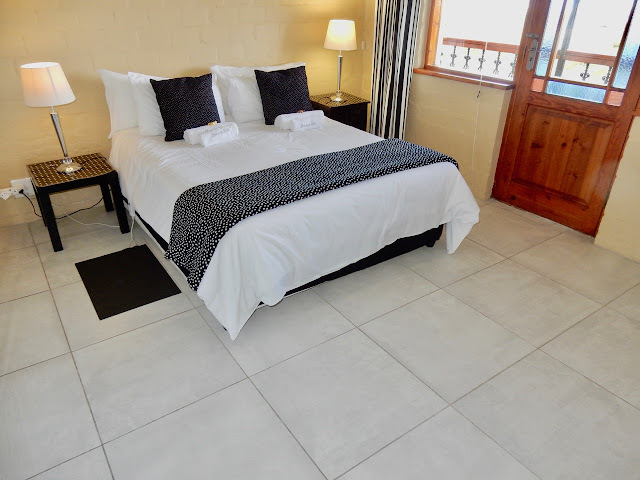 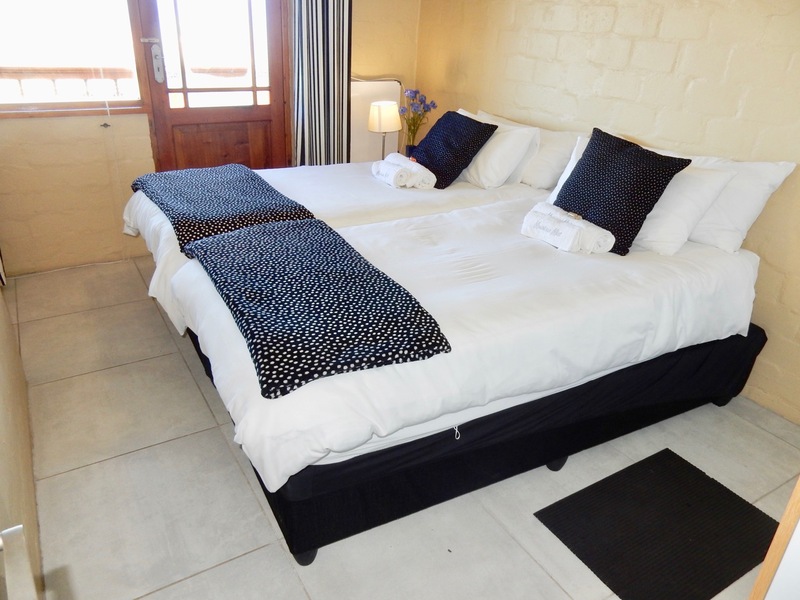 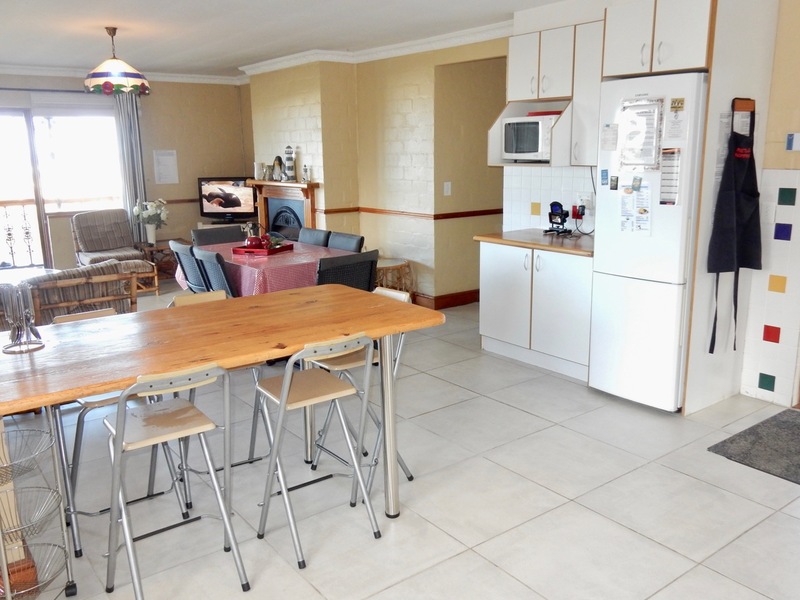 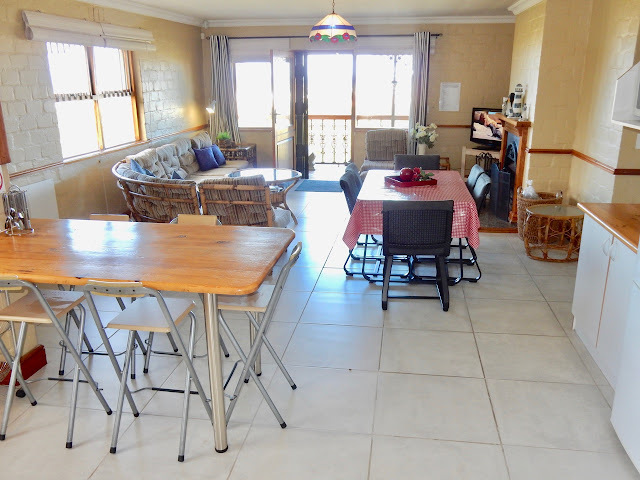 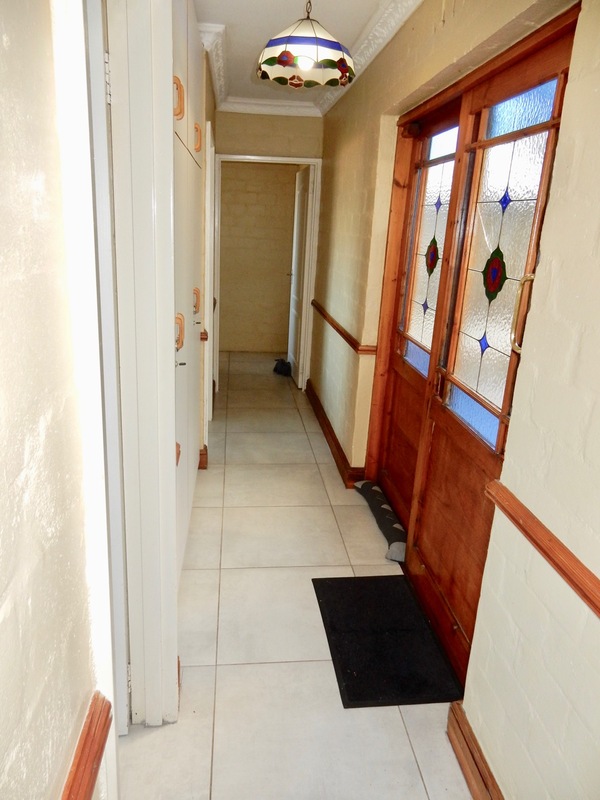 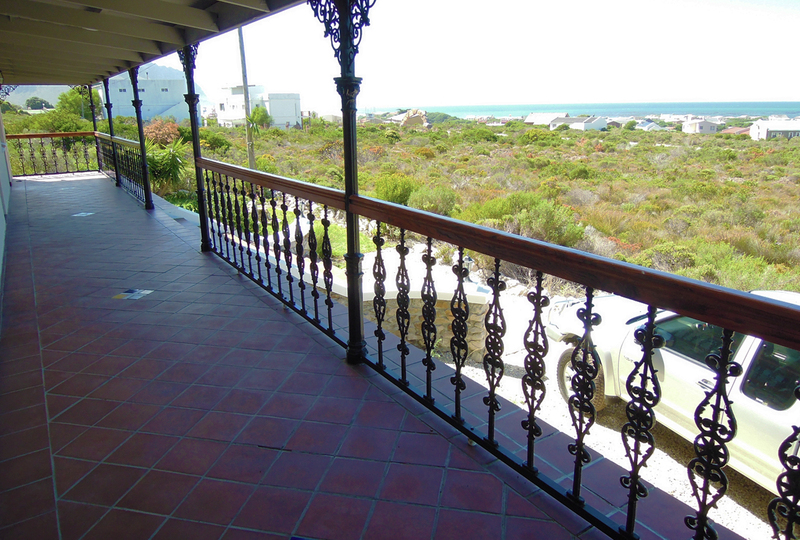 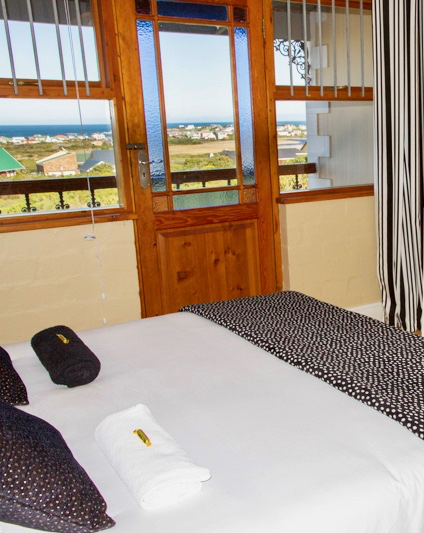 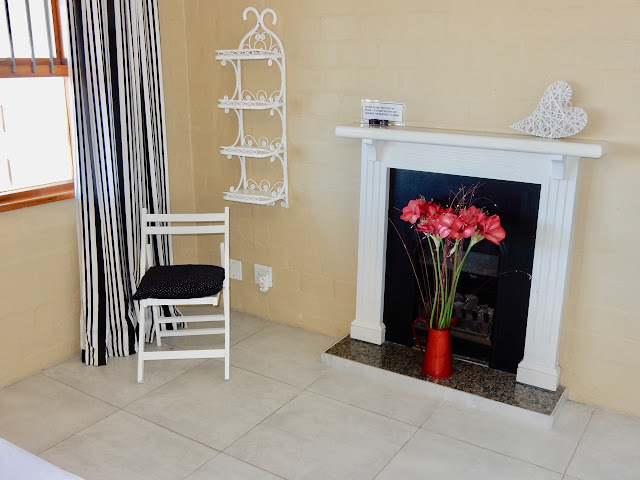 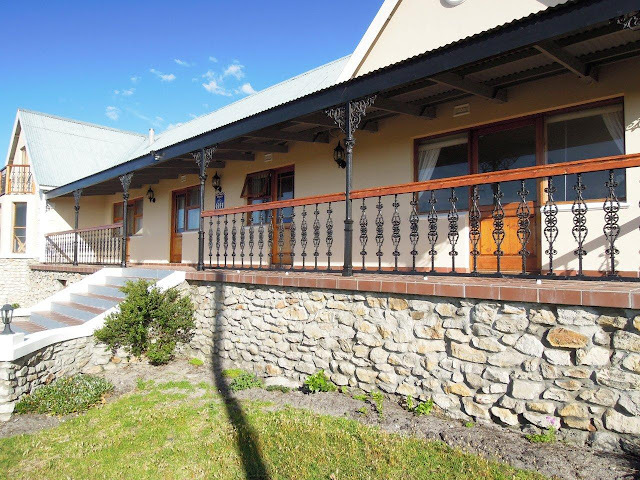 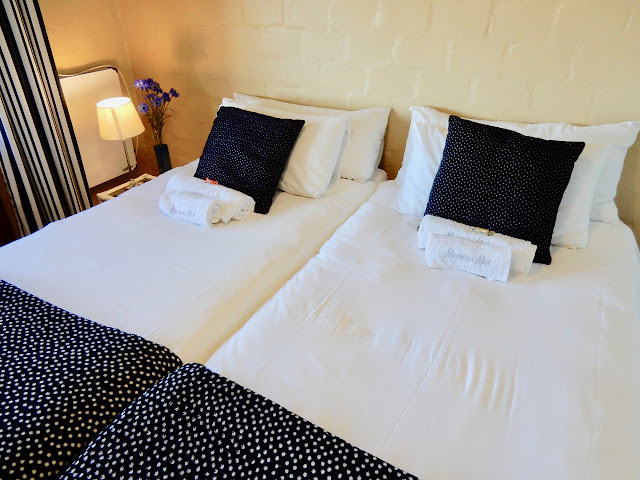 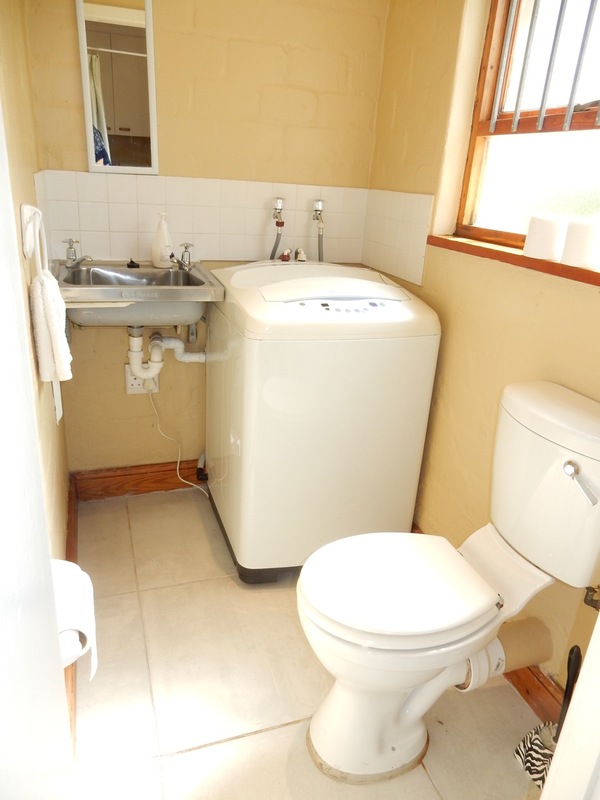 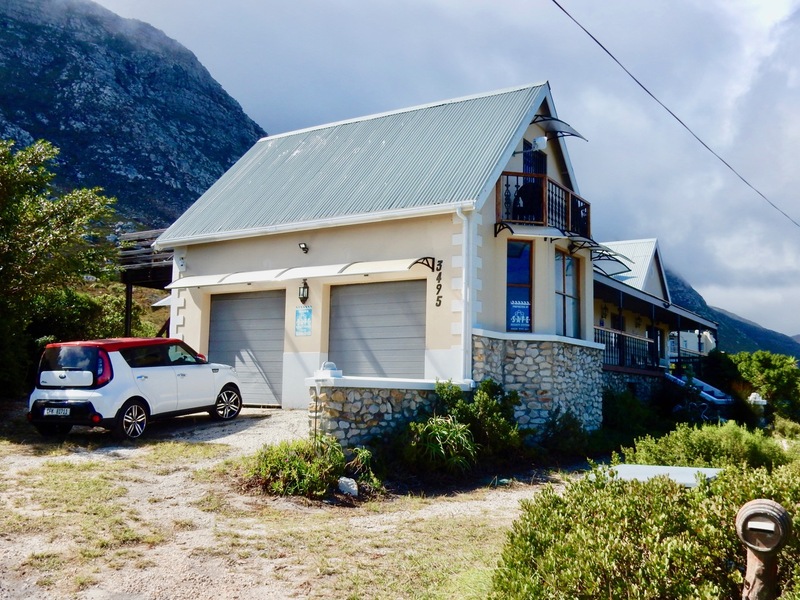 You have use of the double garage (CCTV cameras outside) for the duration of your stay at Mountain Mist. 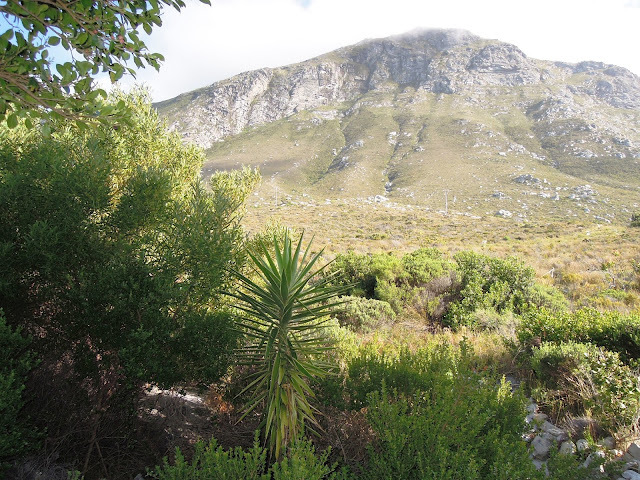 Mountain Mist is linked to armed alarmed response (a remote with an emergency button is part of the house keys).